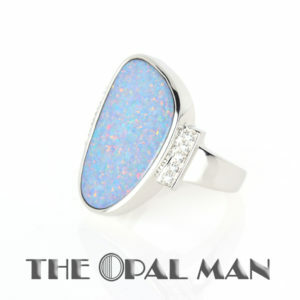 Square Australian opal doublet ring in sterling silver with white topaz accents. This unusually-shaped ring has a very modern feel all while securing the opal and white topaz snugly in the setting. It’s a very comfortable ring! 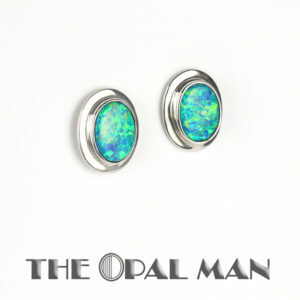 The opal itself is a wonderful dark blue with bright flashes of green on the surface and small flashes of red below.